Valley of the Gods is a scenic sandstone valley near Mexican Hat in San Juan County, south-eastern Utah. 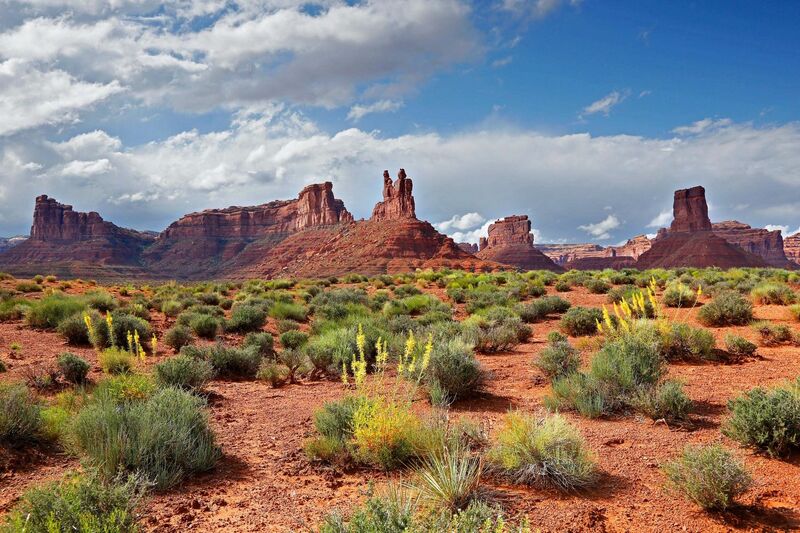 It has similar rock formations to Monument Valley, albeit on a smaller scale, with tall, red, isolated mesas, buttes, and cliffs standing above the level valley floor. It can be very much overshadowed by its big brother Monument Valley so you can often have the place to yourself. It can be toured via a 17 mile dirt road that winds amongst the formations.